Journalist Jenny Gold interviews a geriatrician about the pros and cons of prescribing opioids for older adults. She probes the difficult choices doctors face at a time when physicians have become wary of the powerful, pain-relieving drugs because of likelihood of addiction. Gold’s article was published in Kaiser Health News in January, 2017. The national conversation about the opioid epidemic has mostly focused on young people who buy drugs illegally on the street. But the scrutiny of opioids has also changed the way doctors are prescribing medications to [older people] to ease their pain from arthritis, cancer, neurological diseases and other illnesses that become more common in later life. Over the past decade, a growing number of seniors have been prescribed opioids, including hydrocodone, codeine and oxycodone. A recent study found that in 2011, 15 percent of seniors were prescribed an opioid when they were discharged from the hospital. As concern grows about a national opioid epidemic, however, some seniors now find it harder to get medications they need from doctors and pharmacies. Some medical practices refuse to accept patients already taking an opioid for pain. “I have patients who, unless they take their opioid, really cannot get out of bed. Beyond the obvious dangers of addiction, opioids can pose serious risks for seniors. Common side effects include constipation, breathing problems, confusion and problematic interactions with other medications. Seniors taking opioid medications are also four to five times more likely to suffer a fall or fracture than those taking a nonopioid pain medication. But opioids can also be a critical tool in treating debilitating pain that leaves seniors immobilized and homebound. 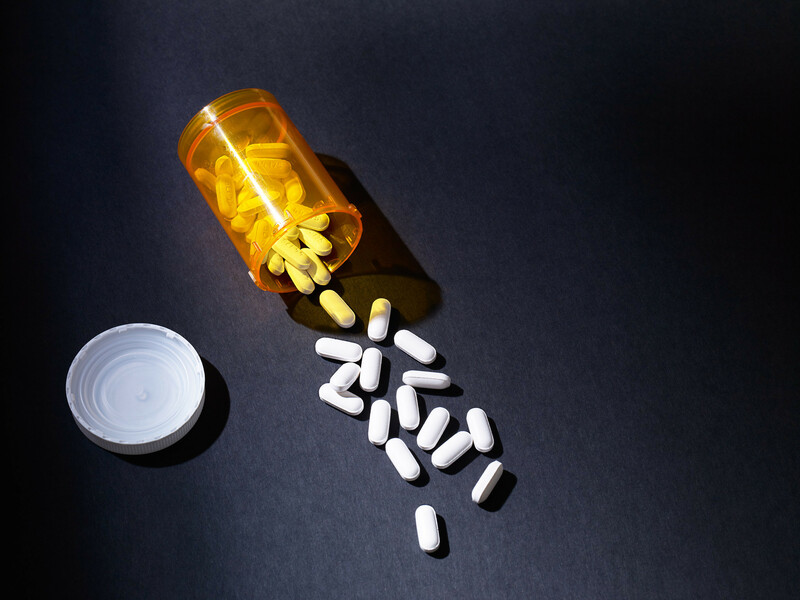 Carla Perissinoto, a geriatrician at the University of California, San Francisco, says prescribing opioids to seniors is often about helping them maintain their independence. Perissinoto recently spoke with California Healthline about the delicate balancing act of prescribing opioids. This conversation has been edited for clarity and length. Q: How do you decide whether to prescribe an opioid to an older adult? One of the tenets in geriatrics with prescribing any medication is the idea that you start low and go slow. For someone who is older, there’s a different biology of aging with medications that take longer to metabolize. They affect people differently. For someone who’s younger, you may be able to start at a dose, for example, of 10 milligrams. In an older adult you often have to start at 2.5. But how I decide really depends on, what are this person’s goals? How is the pain affecting their life? What have I tried and what is not indicated for them? One of the mainstays of treatment is, for example, physical therapy and the use of nonsteroidal anti-inflammatories, which include things like ibuprofen [tradename, Advil]. The challenge with those medications is that they’re over-the-counter and are perceived to be safe, when in reality for an older adult there are much greater side effects on blood pressure and kidney function and a higher risk of bleeding. So in an older adult, the mainstay treatment that we use for someone younger is not available. …there are times that I would prefer to prescribe something topical and it’s not covered by insurance, but yet the opioids are. Ultimately, my goal with using opioids when I have to is, “Can I relieve this person’s pain well enough so that they can maintain their function?” Because ultimately in older adults, their function and ability to live independently is one of the greatest predictors of health. I have patients who, unless they take their opioid, really cannot get out of bed. And if that small dose of opioid is going to help them get out of bed and move around their house and cook for themselves, then that is absolutely something worth doing. Their biggest risk is going to be if they stop moving and [decline more]. That’s going to have a bigger consequence on their health than prescribing an opioid at a reasonable dose and with close supervision. Q: What are some of the risks of prescribing opioids to seniors? Like with any person taking opioids, there are real side effects of becoming addicted. Constipation also ends up being one of the biggest challenges, and frankly many of my older adults don’t want to be on opioids because of the fear of constipation. The other thing is, of course, that opioids can be sedating and so they can put people at risk for falls and an increased risk of confusion. Q: What are some of the other tools you have available to treat pain in seniors? There are some topical agents that work for some people. Understandably, many patients don’t like taking that many pills, and so the idea of being able to put something on the joint or on the skin is really fantastic. There are other modalities that I think work for people, for example, massage. Some people get benefit from acupuncture and chiropractic care. So unfortunately that is one of the unspoken things—that how things are paid for still makes a big difference. Q: How do seniors fit in with the larger national conversation about opioids? I do not want to undermine the national efforts, which are very real in terms of the serious consequences of opioids. At the same time, for many older adults, these are very reasonable treatment modalities. What I’m seeing from the national perspective is that, because of this real concern about opiate overuse, many patients are being discriminated against. I have patients who are on opioids, they’re on low doses, they’re very stable. There’s no evidence of abuse. And if I’m out of town and they are out of medications, no one wants to refill them. And that actually puts someone at risk for withdrawal. And what happens is someone then comes to the office and requests an opioid refill for something they’ve been on, and they’re labeled as drug seeking. It’s very sad. And I think that the challenge is, how do we keep this national dialogue going so that we educate providers to prescribe safely? How do we educate patients to know how to look for signs of withdrawal and look for signs of overdose? So that we’re not discriminating against people with chronic illness and chronic pain, who really do need these medications to function when other therapies have failed. Q: Are you seeing patients come into your practice for the first time who are taking too many opioids? I absolutely have received or have started taking care of people that are frankly incorrectly dosed on too many variations of opioids, and it can be risky. And it’s really hard when someone is on them to really try to take someone off and taper down. But it’s something that can be done if there’s significant trust. When I’ve seen negative consequences of opioids, it’s often because of incorrect dosing—starting too high, giving too frequently, and that’s when we run into problems. I’ve seen that happen over and over again. I think that part of it is education of providers in terms of safe opioid prescribing. I’ll tell you that in my observation of our current resident education, I am frankly quite worried about how our residents are being trained in terms of safe use of opioids. Because of the national concern over opioid use, we’ve swung away where it’s never prescribed … and I think as a result, our physicians in training aren’t being taught how to prescribe correctly. Q: Some people say there are no situations in which opioids should be prescribed long term. What would you say to them? I completely disagree. Palliation, which is the relief of symptoms, is something that is incredibly important with older adults. There are many illnesses in older adults that cannot be cured. And if you are trying to maintain someone’s independence, there are very reasonable times where people may be on opiates. Osteoarthritis. Severe spinal stenosis. Some of those things do not have great treatments and there are times where opioids do have a positive effect on someone’s relief of pain so that they can maintain their function. Jenny Gold covers the health care industry as a senior correspondent for Kaiser Health News. She also reports at times for National Public Radio, where she held a Kroc fellowship a few years ago and covered health and business. The Washington Post, USA TODAY and other news organizations have published her stories. Among her interests: documentary filmmaking and educational theater. ← Medical Tourism: Are Local Doctors Always the Best Choice?